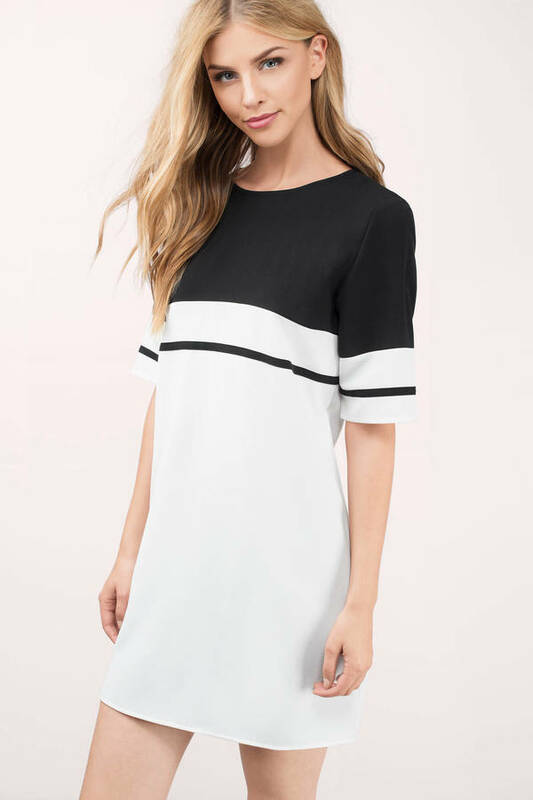 Check out Tobi's Stripe Me Shift Dress Color blocking done right. The Pink & Ivory Stripe Me Shift Dress is a top pick for the office and smart events with its clean lines, contrast top panel and a horizontal stripe that extends across the half length sleeves. This mini dress just needs booties to make an impact at your next work do. Color blocking done right. 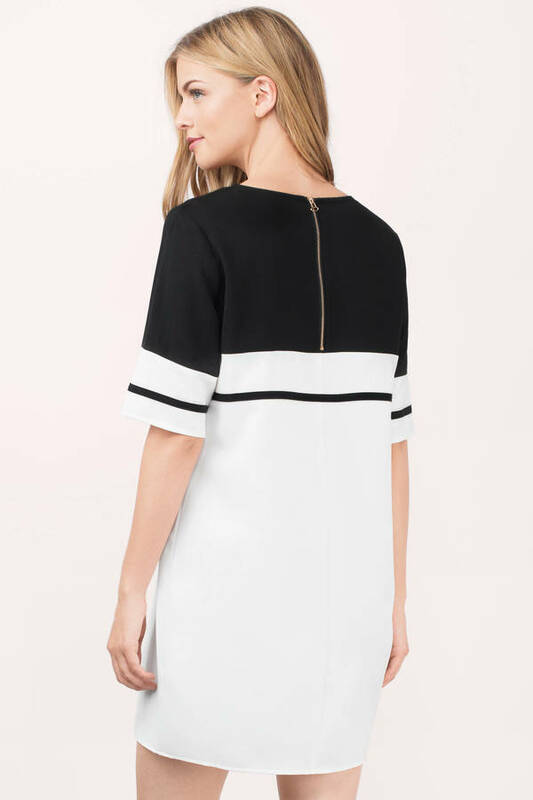 The Black & Ivory Stripe Me Shift Dress is a top pick for the office and smart events with its clean lines, contrast top panel and a horizontal stripe that extends across the half length sleeves. This mini dress just needs booties to make an impact at your next work do. Color blocking done right. The Pink & Ivory Stripe Me Shift Dress is a top pick for the office and smart events with its clean lines, contrast top panel and a horizontal stripe that extends across the half length sleeves. This mini dress just needs booties to make an impact at your next work do. Pink & Ivory modeled on a size Small.